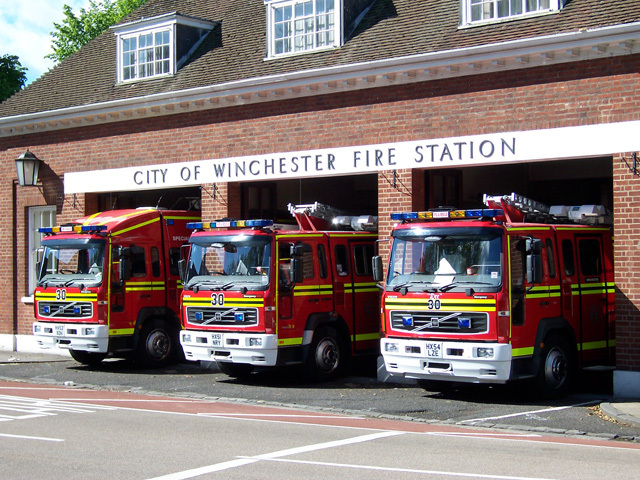 Picture of Appliance line up at Winchester fire station at Day manning station Hampshire fire & Rescue Service. It's good to see the newest line up, but where's the TL? Added by Bob on 23 September 2007. Winchester no-longer run an aerial. Hants have three in total: ALPs at Basingstoke and Redbridge, and a soon-to-be-replaced-with-an-ALP TL at Southsea.